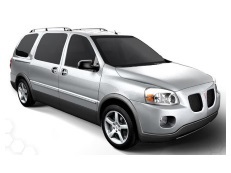 Correct Wheel Sizes, PCD, Offset, Rims and Tire specs for Pontiac Montana series. would a 4.25 inch bolt pattern fit a 2009 montana? Hi,Jason,According to the tire calculator,No,215/50/17 can't fit for that tires. Are we allowed to use 215/60R17's on the 2007 Montana? Hi,Joy,Yes,it is compatible for your car. I have a 2009 Montana Van (although the manual says 2008?). I researched tires as 3 types: Summer-better for water on the road, All-season-sort of good for summer & winter, and Winter-cold does not make rubber hard. I was told that my van does not allow summer type tires, only all-season and winter. Does anyone know if this is true? Hi,Bruce,There does not exit a must-be rule for these 3 types.Normally,If your van car on the long way in no-snow road condition,Summer tires is a good choice.Summer tires is inflated of nitrogen,Which is more stable than air.So there will have not so much heat delivered to rims.But in snow road condition,summer tires is a bad choice. 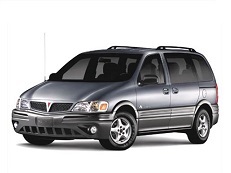 Will wheels from a 2005 Pontiac Montana fit on a 2005 chevy Astro van? will a 225/65R17 tire fit on a 2007 montana suv? Hi,Shawn,The stock tire size for Pontiac montana is 235/65/16,it can't fit for 215/70/15.But for rims,They are compatible. we have a 2005 Pontiac Montana, wheel size on now 215/70R15 what I'd like to know is if a wheel of this size, 215/65R16 could also be used on that vehicle? Hi,William,These two tires are compatible,For rims,You can show the detail and then i can help you confirm it.